Do you see that price? Hello-$5 for this lovely table-score! The legs are beautiful and it was in great shape-no repairs needed. I just gave it a good cleaning to prepare it for painting. I really wanted a bright Summer color. 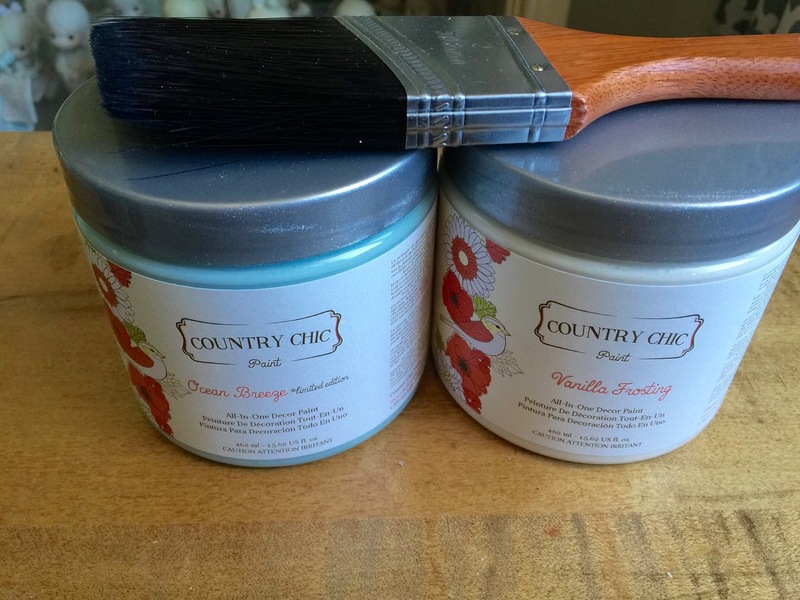 I used Country Chic paint in Icicle for the top and Vanilla Frosting for the legs. Don’t you just love the names? I painted it with two coats of each color, letting it dry between coats. 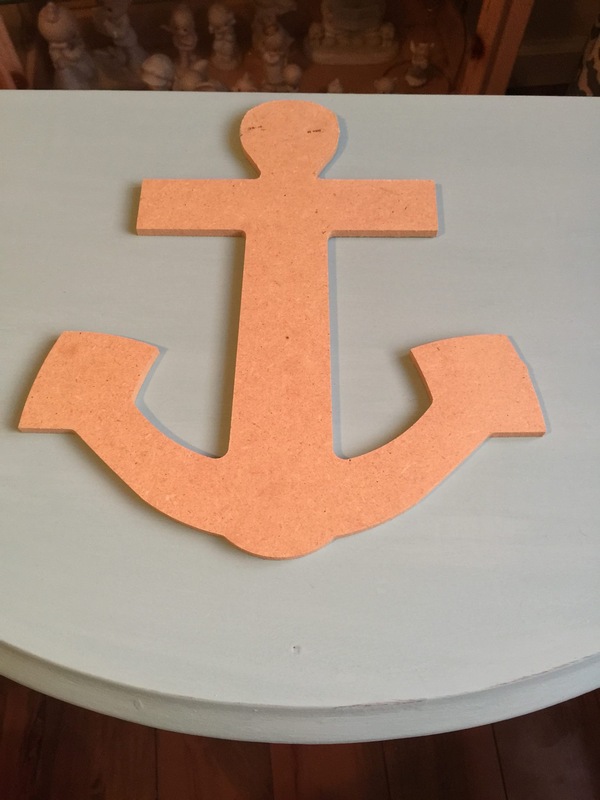 I really wanted to go with a nautical theme and picked up this wood anchor at Michaels for $1.50 with my 50% off coupon! 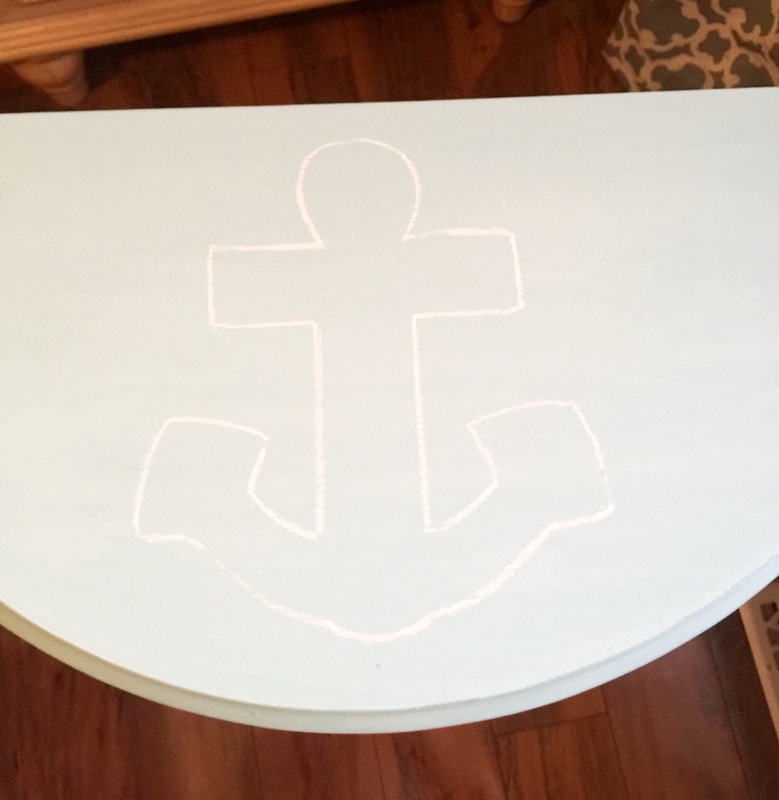 A light sanding and clear wax and this little $5 table went from drab to fab! Thanks for visiting Our Crafty Mom! Have a great day! Michelle, I have that table out in my garage waiting for inspiration. I love what you have done with this piece. It is beautiful, and you have inspired me. Sherry, I am so glad to read that I inspired you! Made my day! I’d love to see your table when it’s finished! 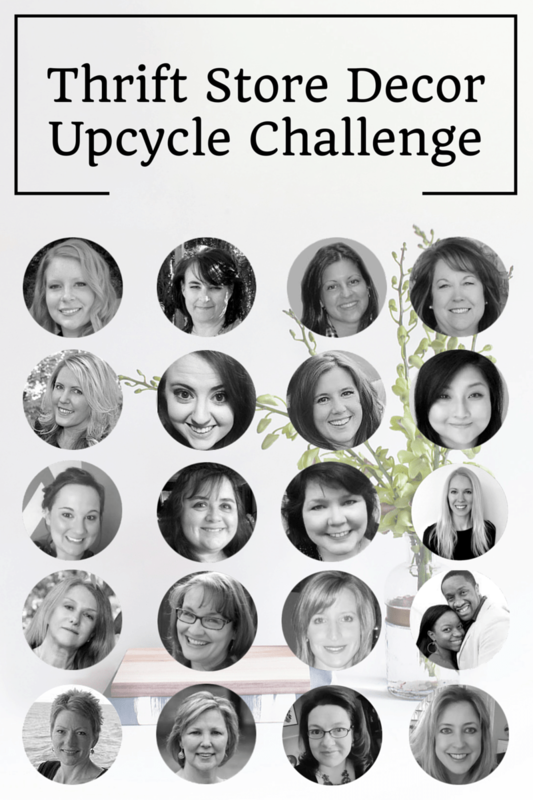 Please consider linking up to #HomeMattersParty which is live every Friday! ? 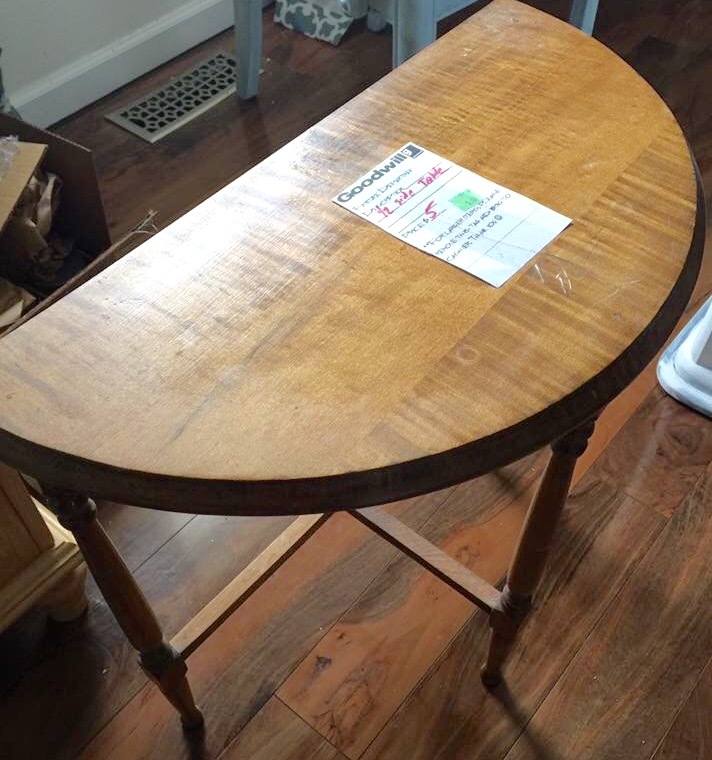 You scored big time to get this table for just $5. 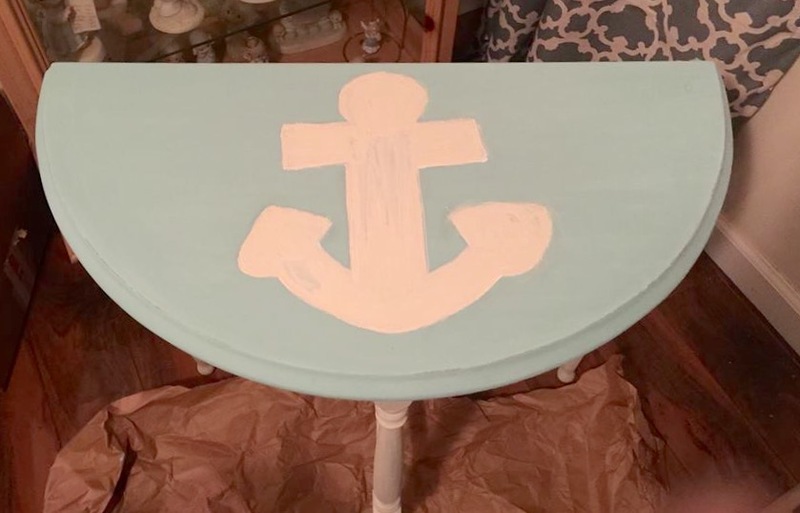 I love the paint colors that you used and the cute anchor that you added to the top. Thanks Paula! I definitely lucked out with that price! Have a great weekend! $5! That table would have been priced at $15 -20 in SoCal. Love the new look, it’s perfect for the summer. Can you believe it Erlene? I thought it said $15 at first & still would have bought it. I am so glad this challenge is monthly. 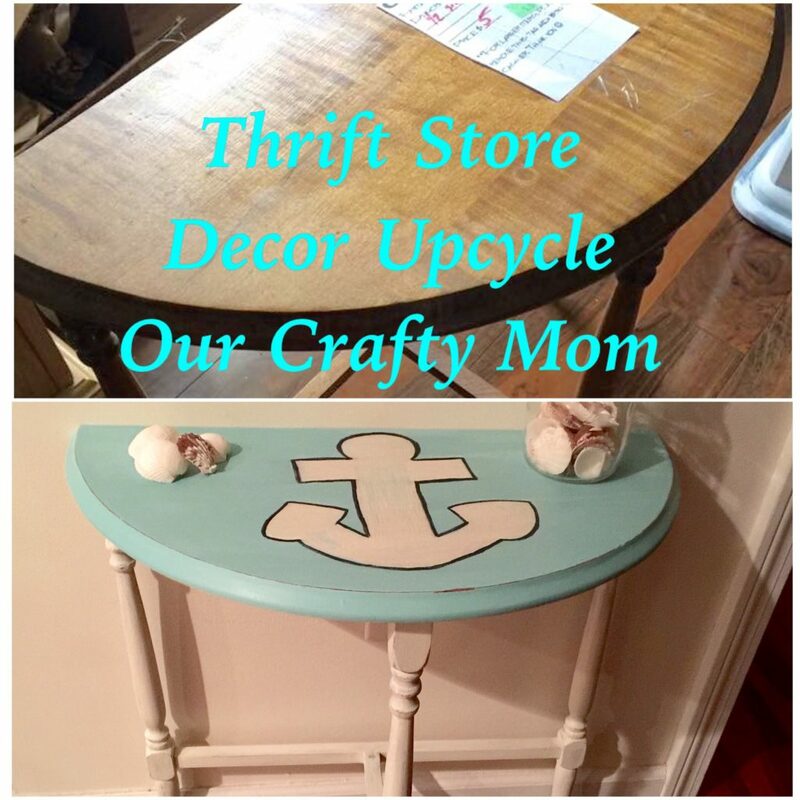 Love thrift store upcycles! Wow $5.00 for a table worth so much more. The lines are great. 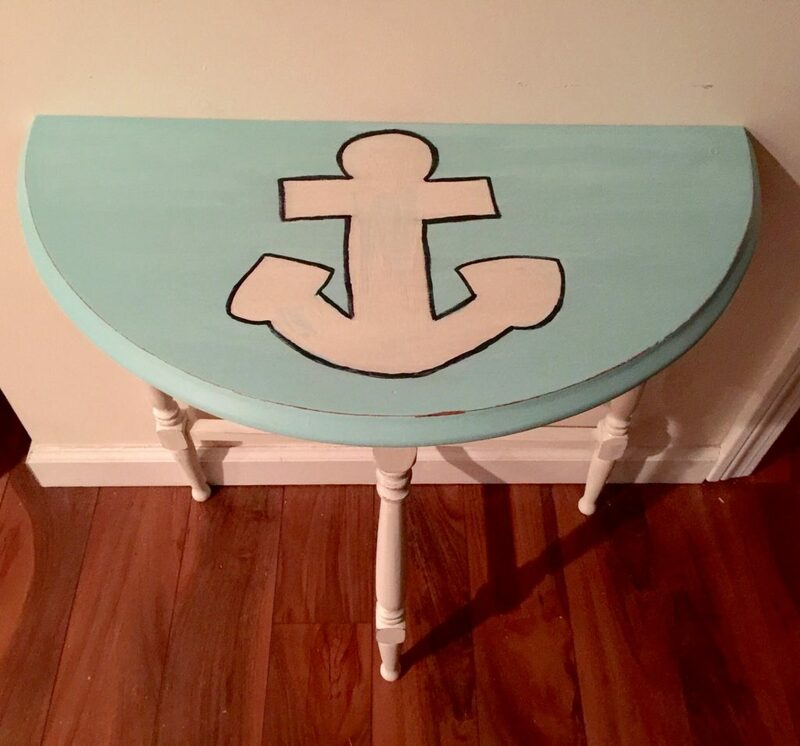 I love how you painted it and added the anchor for a little something special. What a great find! Love the fresh new look you gave this cute little table. There is no way that table would have been $5 at my Goodwill, it would have been much more! I’m always thinking the same thing about the vision process. Love the colors and the nautical theme. I definitely lucked out with this little table! I pretty much ran with it when I saw the price! Thanks for hosting! I can’t believe you scored that table for $5! Love the transformation. What a cute table! The colors are so summery too. So glad you linked up to Dishing It! & Digging It! Thanks Jamie! Have a great day! I love demilune tables- they are so full of possibilities. Thanks for linking to TOHOT! Way to go! Such a great price and the way you refinished it is adorable. Thanks Stacey! Have a good day! 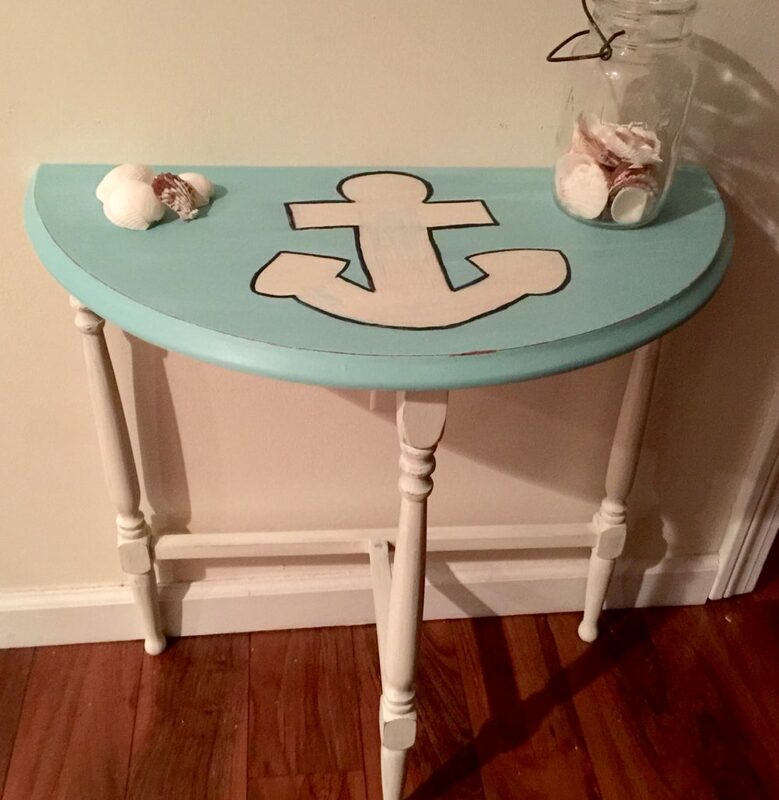 Super cute makeover for this once sad little table! Love the $5 price too you can’t go wrong for that steal of a deal! Hope you have a great day! So true Terry. Just paint updates a piece, but I really wanted a nautical feel. Thanks for hosting! Thanks for taking the time to comment Kim! That’s crazy Jeanne! 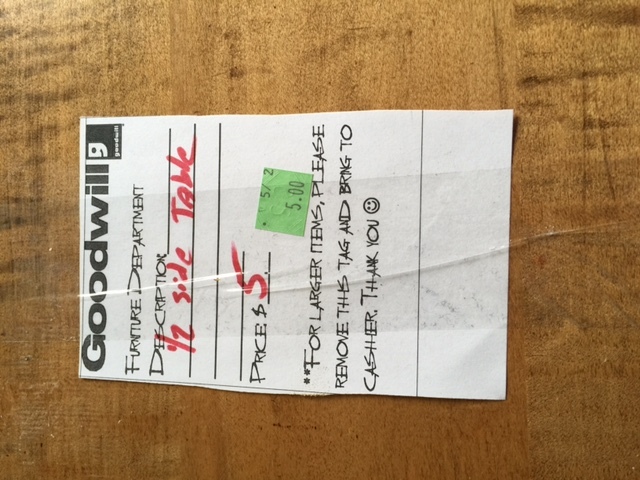 The whole point at shopping at Goodwill is to get a deal! I shop routinely in CT, RI & NH and they are all priced in that range. I wish I could ship some to you, lol! Have a great day! So, so cute ~ love your upcycle! Thank you for sharing @Vintage Charm! So fun! Gotta love a nice sea theme!